Larry Bird, the retired professional basketball player who distinguished himself as a forward for the Boston Celtics in the 1980s, has said that growing up poor as a child has always motivated him. The apple didn’t fall far from the tree: Bird’s mother, Georgia Bird, worked two jobs to support Larry and his five siblings, and his father, though dogged by alcoholism, headed off to construction jobs even when beset by physical pain from injury. Bird’s parents divorced when Larry was in high school; his father committed suicide a year later. It was a traumatic time, but basketball proved to be an escape for the teen, who starred on the Springs Valley High School team in Indiana. Bird once told Sports Illustrated, “I played [basketball] when I was cold and my body was aching and I was so tired. . . . I guess I always wanted to make the most out of it.” He went on to become his high school’s all-time scoring leader. The two athletes weren’t always friends, but Georgia reportedly had a hand in bringing them together. 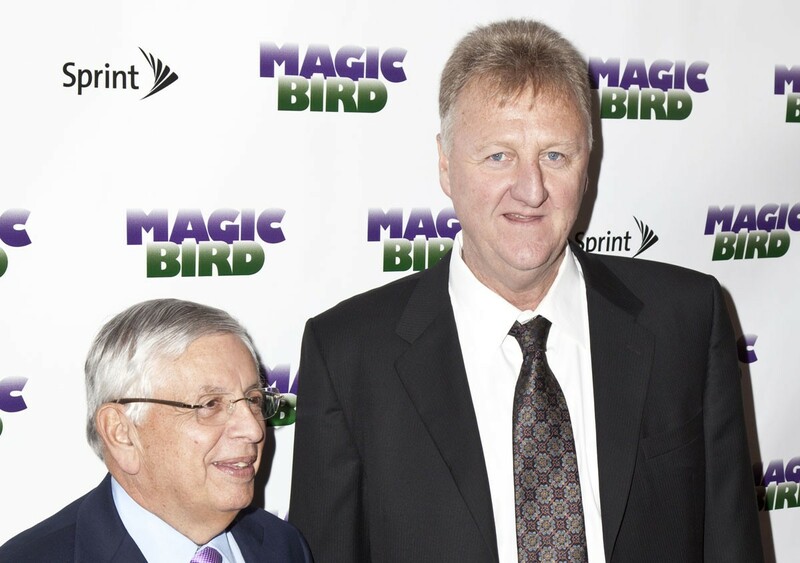 The Broadway play Magic/Bird, which premiered in 2012, detailed how the relationship between the two basketball titans morphed from not-always-friendly rivalry to friendship, with Georgia being instrumental in the change. Bird is famously reticent—about his mother and pretty much everything else—but to prepare for the role of Georgia, actress Deirdre O’Connell visited Bird’s hometown of French Lick, Indiana, and spoke with Georgia’s friends. “There is a real toughness to her that I love about her, and sweetness,” O’Connell told ESPN.go.com in 2012. “I wanted to honor her and there was no way for me to meet her, because she’s not with us anymore [Georgia died in 1996 of ALS]. . . . People kept saying she was very happy. She had a very clear sense of the blessings that had fallen on her.” The play gives audiences a peek into the woman who, by all accounts, helped to forge her son’s dry sense of humor, competitive spirit, and strong will.